The next stop in my track was Brescia, where I arrived early Saturday afternoon. 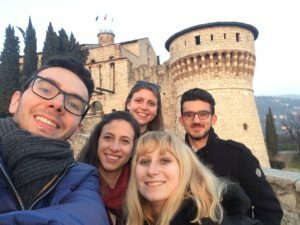 As the weather was nice and timing was good, I had the city tour in the afternoon with some members of AEGEE-Brescia who told me many fun facts about their city and their sights – we even managed to bump into a running competition while visiting the castle [She smiles, ed.]. The day continued with the evening meeting in the office of AEGEE-Brescia, when firstly I introduced the work of the Comité Directeur and who is doing which portfolio this year. After the introductory part, we continued with the topic of Summer Universities, the upcoming AEGEE-Brescia Summer University and some tips for compulsory sessions for the SU. We also covered some best practices for recruitment and how to prepare the members for the SU – both for organising and applying to one. The evening was closed with the open space part, where there was interest about Agora reform and a few questions regarding Membership fees. 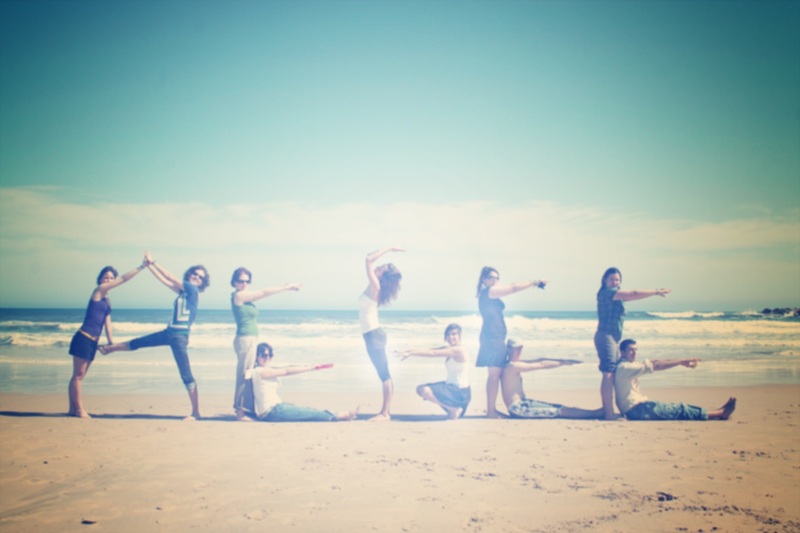 It was very interesting to see how the Summer Universities, as the biggest project of AEGEE, have a significant impression for locals, as for the members of AEGEE-Brescia this is one of the biggest motivations to join the organisation – either as a participant or as a helper. The night continued at the house of Michele Minuti, former President of AEGEE-Brescia and Treasurer of the Academy, where we spent a nice evening with pizza, pirlo (similar to Aperol Spritz), some nice talks and some games. 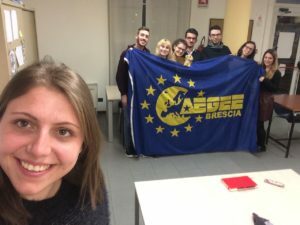 As a surprise, I also received a T-shirt of AEGEE-Brescia – once again, thank you guys for the nice surprise! The next stop for all of us is Udine, where I will reunite again with Réka and Zvonimir to have a joint session about the future plans for AEGEE, what has been done by the CD in Brussels so far and about the opportunities AEGEE offers for members and for externals. Stay tuned and follow us on Facebook and Twitter!